Luckily, several of our city’s old fire stations have survived through the years and have found new uses. 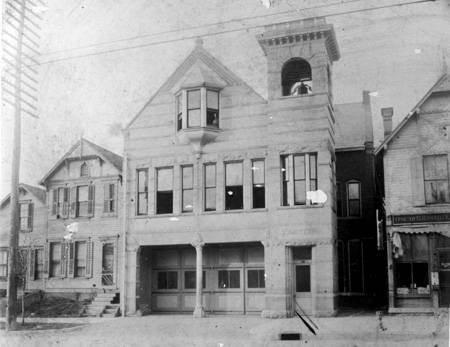 The Eastern Fire Station is one of the oldest, having been constructed in 1896. The three-story Eastern Station #15, snuggled tightly between houses and stores, opened at 1030 E. Washington Street in 1896. 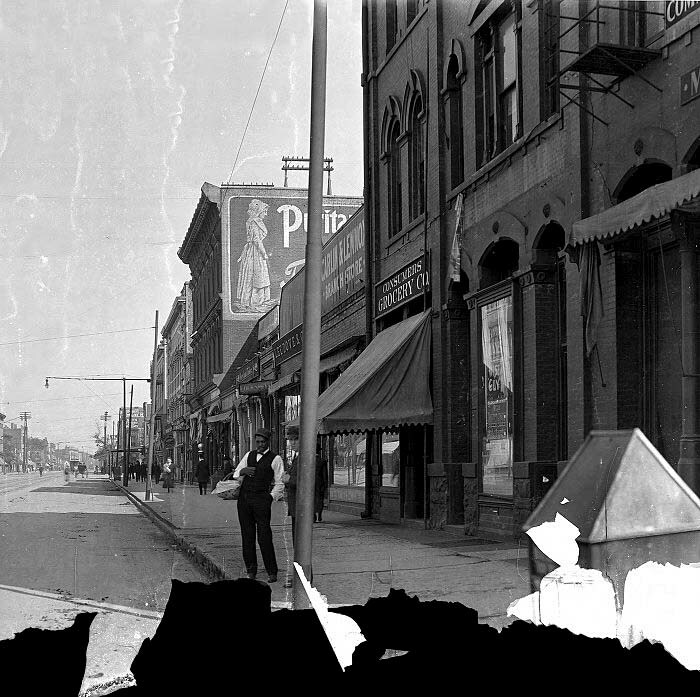 Shortly after 1900, fire officials renamed it Station #11. 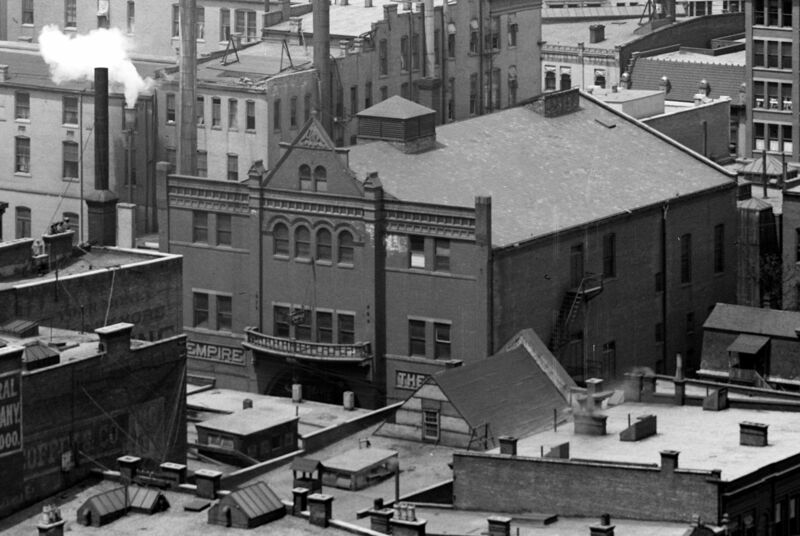 The Station was just fourteen years old when photographed by Bass Photo Company. A bell in the tower alerted workers and neighbors about nearby fires. 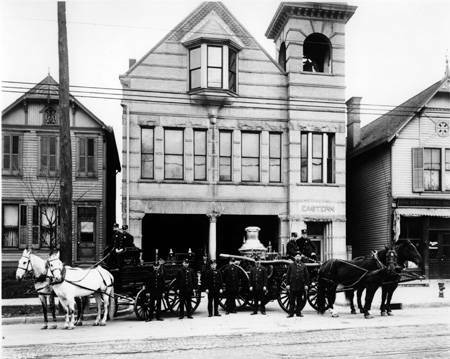 Two bays held the horse-drawn fire equipment, proudly displayed by the crew in this 1910 image. Eventually firemen replaced the horse-drawn wagons with gasoline and diesel engine firetrucks. The station served the near east-side community until April 27, 1971, when it relocated to a larger and updated building. 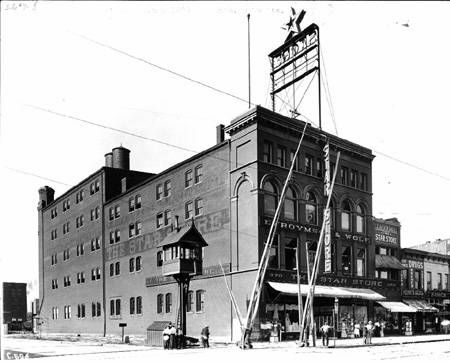 When Fred (formerly of Bass Photo Company) and Peggy Abel purchased the building for a commercial photography business in 1971, the loft still held straw from the horse-drawn wagon days. After much work the couple opened Firehouse Colorlab, which they operated until selling to the Corman Brothers in 1989. Photography was evolving and gradually computer stations replaced darkrooms. Finding it challenging to update the old building and needing more space, the lab (now named Firehouse Image Center) moved into a modern building in 2003. Angie’s List, a review company for service businesses and health care professionals, moved their headquarters into the old station in March 2003. 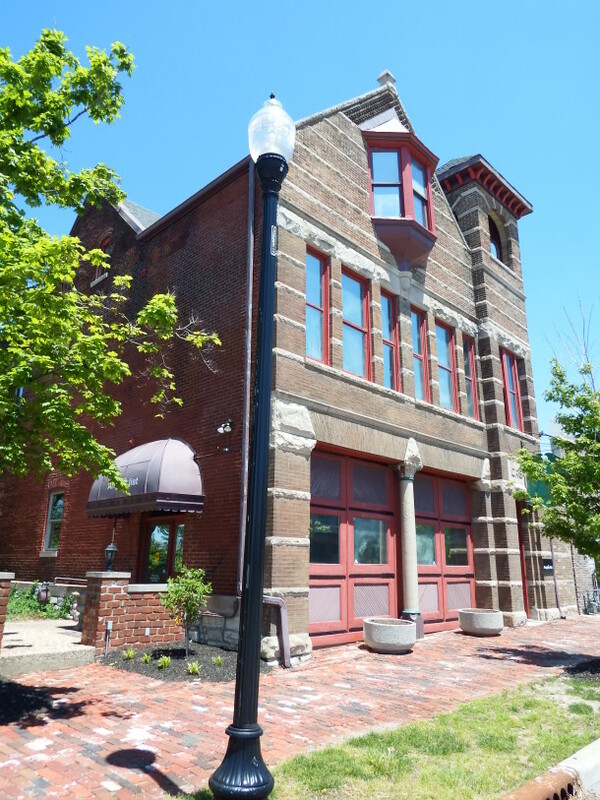 Today, the building houses Angie’s List’s reception area, call center, and offices. 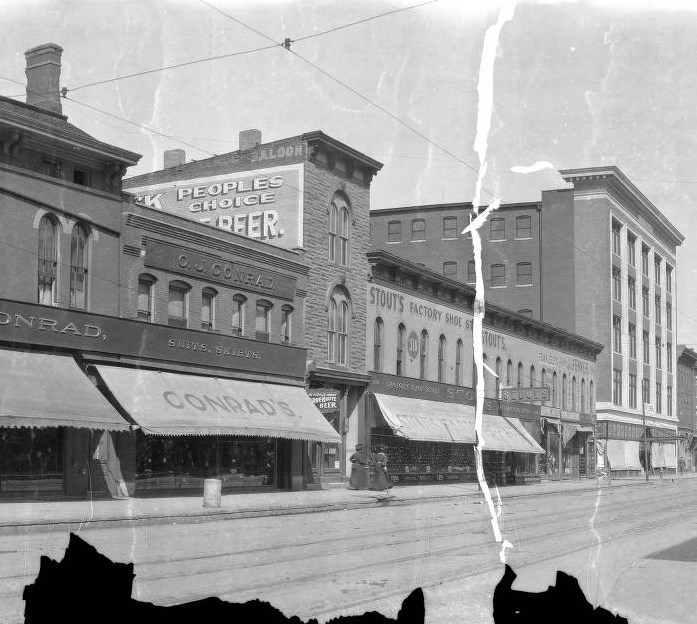 With vision, dedication to historic preservation, and tasteful updates, these owners all deserve credit for demonstrating how adaptive reuse of old structures can add to the charm of our streets. I was a customer of Firehouse for awhile in the mid-90s. I always thought that would be a way cool environment to work in. Rode or drove or took the bus downtown from the East Side (also took the number 11 and 10 and 21 busses as well as the number 8 that goes by here…) for decades. Remember when it was operating1 just getting old, you know! I enjoyed your write-up on our old building. I wrote the history page on Firehouse’s website with many of the recollections from memory. I worked in the old station from 1989 to 1999 and rejoined Firehouse at their current location in 2009. It was truly a love/hate relationship with the old fire station. Heating and cooling was always a problem. But I still remember that the flat roof in back was a great gathering place to watch the downtown 4th of July fireworks. I worked across the street at Indiana Wire Company in the early 1960’s. Jon: Thanks for sharing the link! I went to Firehouse all the time when I worked at the Indiana Historical Society and always loved the fact that it was in an old building. I love these Then and Now articles. It really puts you in the picture. Big fan of firehouse reuses. I’ve identified a couple of old firehouses around downtown that I think would make a great adaptive use for an office or residential. Great article Joan! I worked there in the late 80’s with my aunt Holly stuffing negatives for $5/hr…..it was awesome! Loved that place so much! I worked with Holly briefly in 1989-1990. If she’s the same Holly. 🙂 Worked on the large, horizontal stat camera and film?